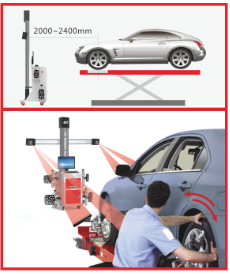 Wheel aligner on the car.The correct four-wheel positioning parameters will be changed when the tire or shock absorber is replaced, and when the mechanical wear and tear, the fatigue deformation of the parts in severe jolting wave, or the deformation of the frame and parts after collision.New car in driving 3 months after the four-wheel positioning, after every 10,000 kilometers, change the tire or shock absorber and collision should be timely four-wheel positioning.The correct positioning of wheels can ensure flexible steering, comfortable riding, maintain a straight line, extend the life of tires, reduce the vibration caused by the road surface, etc. There are many benefits to having a leading position in technology.In today's life, the use of this kind of instrument with cable, few people can accept, let alone its accuracy, the efficiency of the instrument is undoubtedly too bad, the use of this equivalent to the locator technology is still living in the primitive society.A proper, high-end wheel aligner is required.But how to target a large number of suppliers correctly?The first consideration, of course, is the price level and the reliability of the service. Most of the Wheel aligner are closely related to vehicle maintenance. 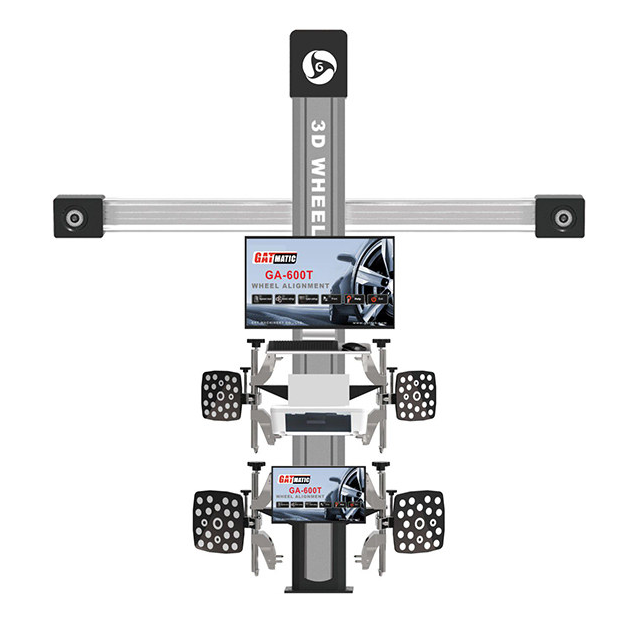 If the locator can provide as much maintenance information and data as possible, then the Wheel aligner has a very good value and is of course very popular.